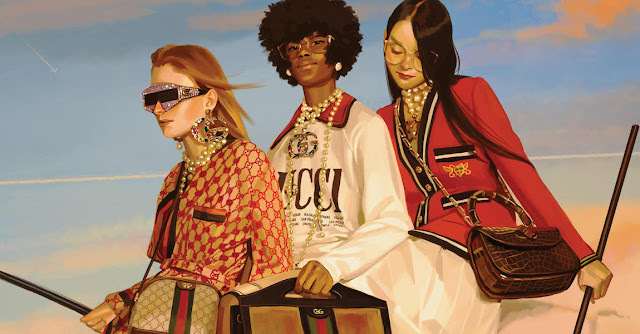 As Gucci continues to dominate the Instagram feeds of "hypebeasts" everywhere, the Italian fashion house has chosen to use its platform and influence for the greater good. 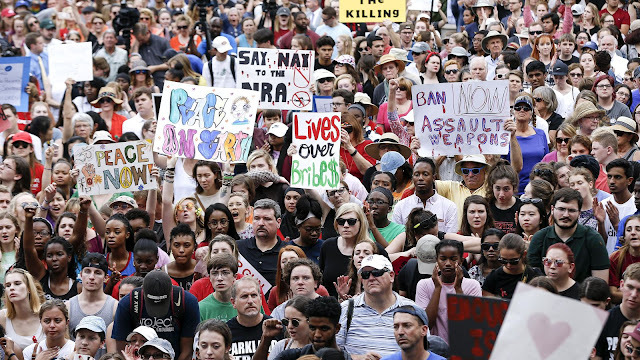 While the current presidential administration has taken a "creative" approach to the current issues at hand, Gucci has established campaigns such as Chime for Change, spearheaded efforts to promote ethical and sustainable fashion and contributed to several charities and causes, such as March For Our Lives. In 2013, then creative director of Gucci, Frida Giannini, established a global campaign called Chime for Change that aimed to empower individuals speaking out for girls and women around the world. The campaign, which was co-founded by Beyoncé Knowles-Carter and Salma Hayek-Pinault, uses innovative methods to advance gender quality. Chime for Change also works with a coalition of partner organizations such as the Kering Foundation, Facebook and Hearst Magazines. 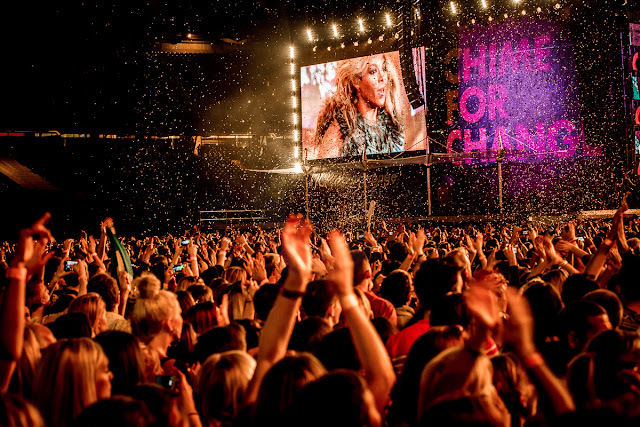 Additionally, in 2015, Chime for Change partnered with Global Citizen to bring greater awareness to the issue of gender equality. Most recently, on World Water Day 2018, Gucci announced that Chime for Change would partner with Beyoncé and UNICEF to bring clean, safe water to Burundi. The Italian fashion house donated a whopping $1 million to the Beyoncé and UNICEF USA multi year clean water initiative, BeyGood4Burundi, to bolster programs to improve water, sanitation and standard hygiene practice in remote areas in Burundi, where almost half the population has no access to safe water. Gucci's investment has allowed for the construction of 80 wells, providing more than 120,000 women and children with access to safe water. In addition to helping the clean water initiative, Chime for Change has worked closely with other campaigns such as the UNICEF Girls' Empowerment Initiative, Salma Hayek's appeals to support Syrian refugees in 2015 and those affected by the 7.1 magnitude earthquake that hit Mexico in 2017. Overall, Chime for Change has raised $10 million to support 420 projects with 153 partners in 88 countries. The campaign's efforts have directly affected more than 400,000 women and children and have reached 3 million families and community members. Today, Gucci's current creative director, Alessandro Michele, continues to support the Chime for Change campaign while also championing gun control efforts. In 2016, the brand was personally affected by mass shootings during the Pulse Nightclub shooting, in which a Gucci employee was slain and a staff member was seriously injured. In response, Gucci has donated fall a million dollars to March For Our Lives. In announcing the brand's support for the movement, Michele said, "I am truly moved by the courage of these students. My love is with them and I will be next to them on March 24. I am standing with March For Our Lives and the strong young women and men across the United States who are fighting for their generation and those to come." Gucci's initiative has been followed by other fashion brands such as, Reformation, which as asked FedEx to discontinue the NRA discount program. Gucci has also championed efforts for ethical and sustainable fashion. On October 2017, in a press release from Gucci CEO, Marco Bizzarri, Gucci would remove all fur from its collections starting from spring/summer 2018 and join the fur-free alliance. After consulting with several of the brand's youngest employees to obtain their perspective on what the brand was doing wrong, Bizzarri was lead to his decision. "Technology is now available that means you don't need to use fur. The alternatives are luxurious. There is just no need," Bizzarri told Vogue. Furthermore, the CEO hopes that other brands will follow the example set by Gucci in not just ethical fashion but other efforts as well. "Gucci is so visible, so well-known - we need to use that in a positive way," he said.